Find and repair registry errors, cleanup unneeded files, defragment your drive, backup system files, and more! 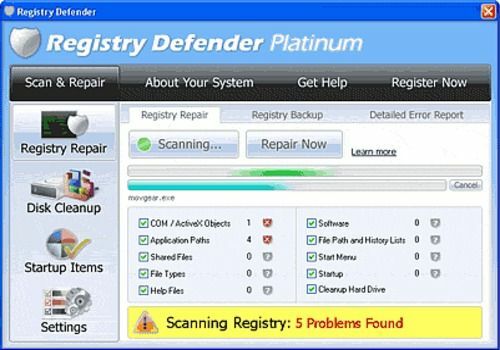 Registry Defender Platinum is a powerful system diagnostic utility that helps you optimize system performance. Registry Defender Platinum will help make your system fast, error free, optimized and in your control.